All Romoland homes currently listed for sale in Romoland as of 04/25/2019 are shown below. You can change the search criteria at any time by pressing the 'Change Search' button below. If you have any questions or you would like more information about any Romoland homes for sale or other Romoland real estate, please contact us and one of our knowledgeable Romoland REALTORS® would be pleased to assist you. "Beautiful Single Family Residential House with 5 bedrooms, 4 full bathrooms, three living rooms, two charming chimneys and an attached garage for three cars, the dining area is a beautiful spacious place to decorate with your favorite taste! The backyard is very spacious. 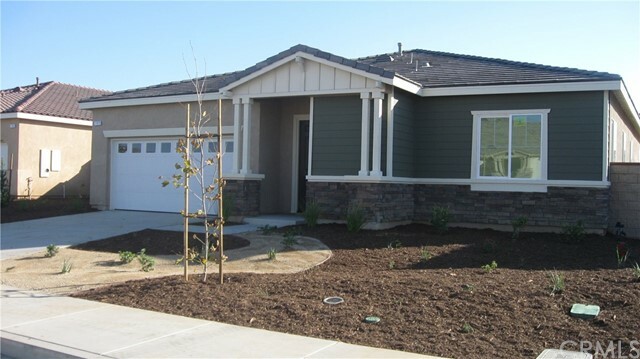 The crown molding is delightful as well as all the finishes, and to a dazzling front outlook." "Life just got better in this beautiful 2 story home! Masterful design and luxury are uniquely embodied in this 5 bedroom 4 bath home with 3408 SF of living space! This home presents with tons of natural light, soothing paint palettes and an incredible open floor concept! The island kitchen features granite countertops, SS appliances, wall ovens and rich wood cabinetry. Truly stunning home throughout! Look no further! This home is everything you've been dreaming of and more! Neighborhoods: Riverside Equipment: Dryer,Garage Door Opener, Range/Oven, Washer Other Fees: 0 Sewer: Sewer Connected Topography: GSL"
"Beautifully upgraded 5 BR + BONUS ROOM, 3 1/2 BA, 3255 Sq. Ft. (2 Bedrooms downstairs) is now ready for viewing! NEW waterproof LAMINATE in Living Room, Dining Room, Family Room, 3 Full Baths and Laundry Room; NEW neutral-colored carpeting in All Bedrooms and upper level Bonus Room; NEW GRANITE COUNTERS in Kitchen and all Baths; NEW STAINLESS STEEL appliances; NEW FIXTURES and Garbage Disposal; NEW Doors and LIGHT Fixtures; NEW custom-colored PAINT throughout; Tile Entry with Decorative Custom Stone In-Set continues through to Island Kitchen and Nook; Stunning White Cabinets , Built-In Desk area, Built-in Oven and Microwave; Cook-top with Vent Hood; window over sink for natural light and fresh air! Family Room with Fireplace and entertainment niche are visible and a part of the family kitchen eating area; slider to rear yard for easy access to outdoor entertaining; wrought iron fencing across rear. 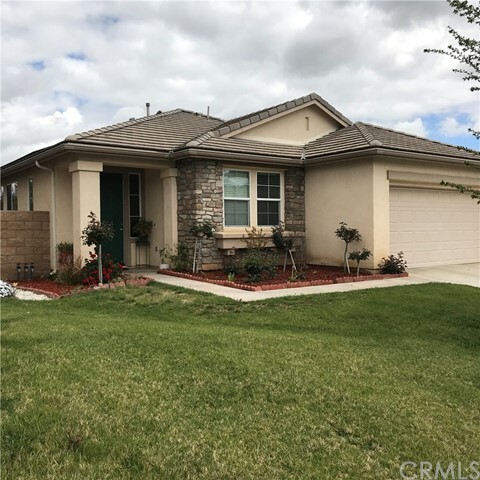 Upper Landing has ample Cabinets; Large Bonus Room; Master BR with French Doors to Expanded Balcony, Master BATH with Soaking Tub, Dual but Separate Vanities; Sit-down Vanity with Mirrored Door to Walk-In Closet; Must See Canyon Hills! 3-Car garage with direct access. Home is centrally located for easy freeway access. Call today for a private showing!" "This property is a Short Sale price is confirmed, 6 bed rooms 3 bath, 2 story, Tile and Carpet floors. Built in 2004. Property is Occupied do not disturb." 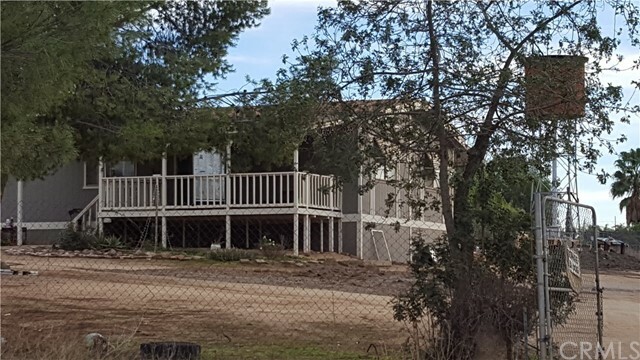 "1536 sq ft Manufactured home on 3.65 Acre lot fully fenced zoned for horses and all usable flat lot as NOT a mountain top or rocky lot. Corner lot with paved roads both sides of property with Menifee Rd as the front street to your property. Great area to have horses, dirt bikes or storage"
"Another beautiful Pacific Communities built home. 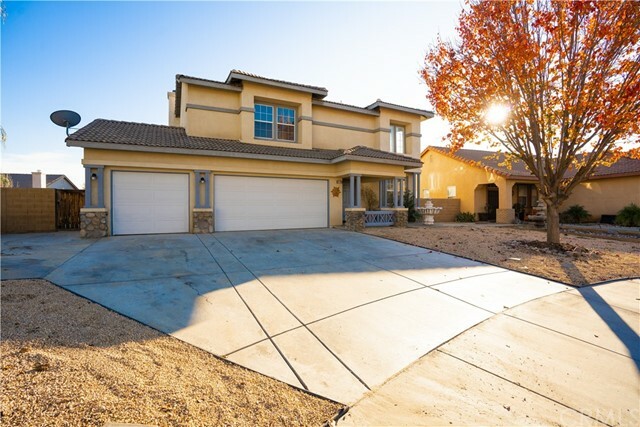 This is a 2,477 square foot single story home with 4 bedrooms 2.5 baths this home also has a three car tandem garage. The kitchen features Thermo foil white cabinets throughout with granite Santa Cecilia Countertops in the kitchen. The bathrooms have the beautiful Sonic Pearl tops. 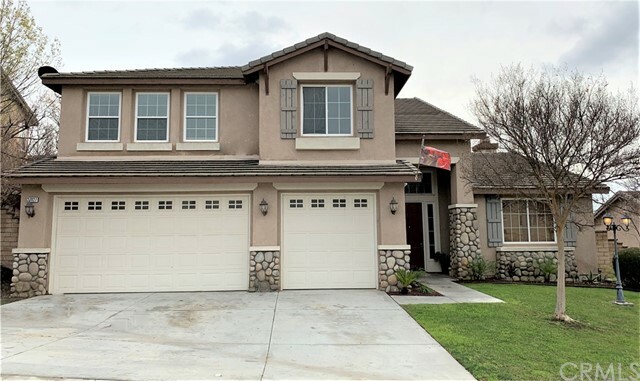 Buyer can still choose their choice of flooring"
"Beautiful Turn Key 4Bedrooms, 3.5 Baths in a highly desirable location at the end of a cul-de-sac, as you walk through the double doors you'll find a formal living room and dining room. Large Kitchen opens to the family room with a fire place. Laundry room is located downstairs. As you travel upstairs you will find a bonus room/loft with 3 bedrooms that feature adjoining bathroom with dual sinks and walk in closets and in addition a Master bedroom with a spacious bathroom which includes dual sinks, separate bath and shower, vanity, and a large walk in closet. This home also features a covered patio, huge landscaped backyard, a canvas for you to create your own magnificent design. This home is centrally located to nearby schools, shopping centers, restaurants, and parks. RV Parking. 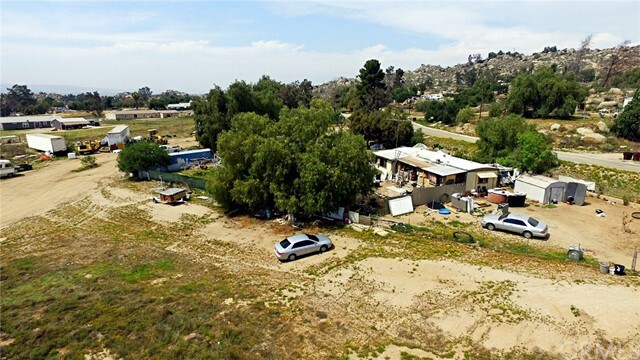 No HOA, and close to the 215 Freeway." "Another Beautiful Pacific community built home. 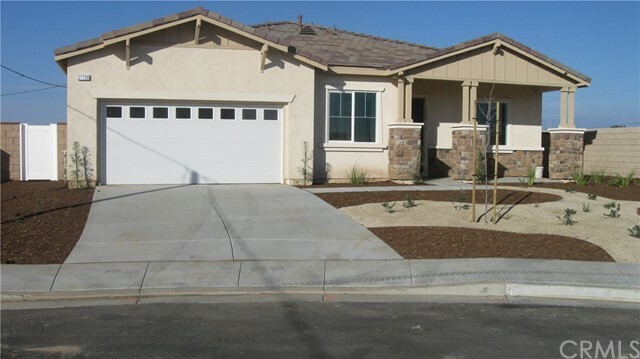 This 3 bedrooms 2 bath with 3 car tandem home is located in a culdesac. Our home has an open kitchen concept with 9 foot high ceilings, Thermofiolf cabinets throughout with Roman Slate countertops. Beautiful laminate flooring Ready For a Quick Close"
"Another beautiful Pacific Communities built home. This home has 4 bedrooms 2 baths. It's a single story home with 2,088 square feet. This home is located at the end of a cul-de-sac. This home also features a spacious walk-in pantry, with 8ft. tall interior doors throughout. The kitchen in this home features Thermo foil white cabinets throughout with Roman Slate countertops in the kitchen & Beautiful Sonic Pearl countertops in the bathrooms. Your buyer can still choose their choice of flooring." "LOVELY SINGLE STORY HOUSE. This house has 3 large bedrooms*2 full bathrooms*Walk in Closet in Main Bedroom*Very Spacious Main Bathroom*Upgraded and Spacious Kitchen with plenty of cabinets*Family Room and Living Room*Fire Place*Large Niche For your Entertainment Center*Formal Dining Room*Indoor Laundry Room*High Ceilings. 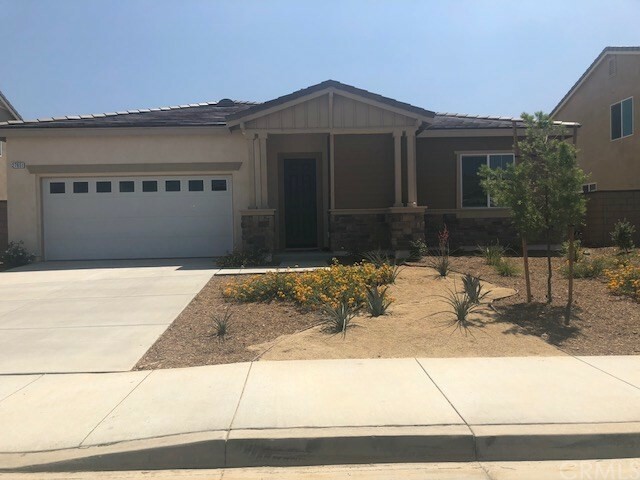 *Direct Garage Access *Back Yard has Block Wall on 2 sides, Beautiful landscaping Covered with nice grass and fruit trees and a built-in Patio Cover*Private Community Park*Close to Freeway Access, Stores and Business. The Homeowners have put lots of love in this Home. A must see this one in a life time opportunity." "Short sale is now BANK APPROVED at $329k! This home features 5 beds, 3 full baths, LARGE kitchen with double oven, built in microwave, center island & plenty of storage! Downstairs bedroom & full bath is perfect for guests. Upstairs are 4 bedrooms, including the master suite, a spacious loft, full bathroom and laundry room. Master suite features peaceful views of open fields (no neighbors behind) a soaking tub & shower, 2 walk in closets & extra storage! In a private/quiet neighborhood on a culdesac! Neighborhoods: Sun City/Romoland Other Fees: 0 Sewer: Sewer Connected Topography: LL"
"THE VALUE IS IN THE LAND! Incredible opportunity in a developing area! The property has a mobile home that is tenant occupied. Mobile home is a (1982 Skyline) 2 bedroom 1.5 bath that sits on 1.11 acres with so much endless potential. Lot is completely flat & buildable. This is prime property in a developing area that won't last long. The adjacent parcels are also listed for sale separately, and if acquired together, would boast nearly 21.11 acres of land for various investment or building project opportunities. 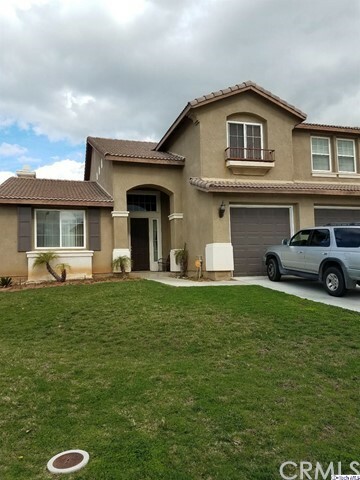 With beautiful mountain views, wonderful riding trails, close to excellent schools, shopping, and accessible to freeways.. Don't miss out on this wonderful opportunity! *** Please do not disturb tenant. *** BY APPOINTMENT ONLY."